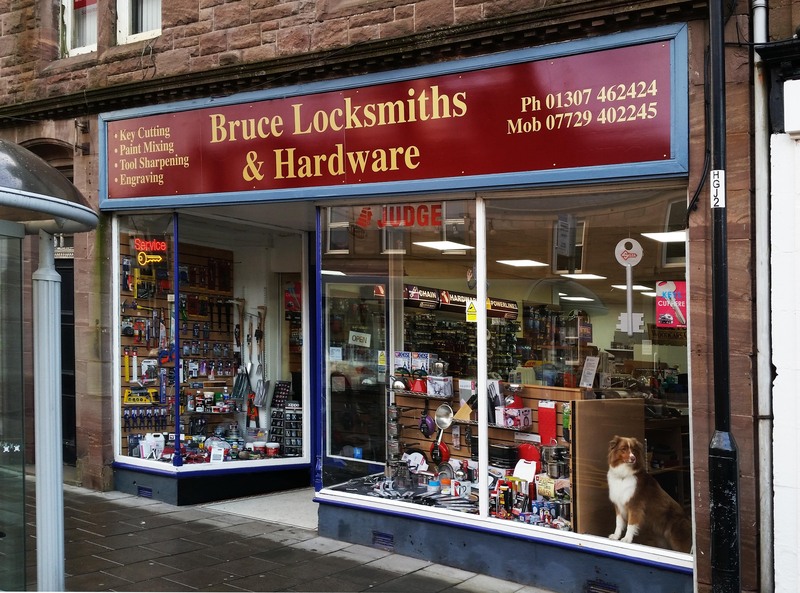 In October 2009, Raymond Bruce had been working at David Irons & Sons (prior to it being bought over by Nickel and Dime) as an Ironmonger for 32 Years and had decided that he would like to start his own business. 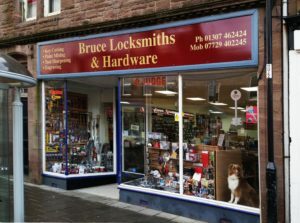 With an avid interest in locksmithing he attended several courses about Locksmithing, Lockpicking, Non-Destructive Entry and set up a small shop at 31 West High Street, Forfar (Pictured). The shop was a good base to expand from and he was able to man the shop with help from his wife Nancy when he was out on callouts. 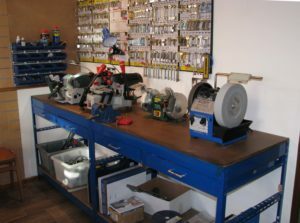 Over a period of 7 years the business increased in both equipment and stock requirements and the small shop became filled to capacity. We wanted to stock more but couldn’t find a space for it and so began looking for new premises. The process of our search took over a year as we would inspect a property, figure how we may utilise the space, get it surveyed and then negotiate the pricing for it, we considered several properties and then learned that Choice Decorators were going to be closing down in May 2016. We met with the shopkeepers and got measurements of the shop and realised this would suit our needs perfectly. We had only until the start of June 2016 to leave the old premises and move into the new shop at 92 East High Street Forfar. There is a timelapsed video below showing the majority of the works to get the shop into a usable state for us. We added a new wall and made a store in the rear, removed the carpet tiles and restored the floorboards, gave it a paint, added high efficiency LED Lighting, painted and laid some laminate where there wasn’t nice original flooring. 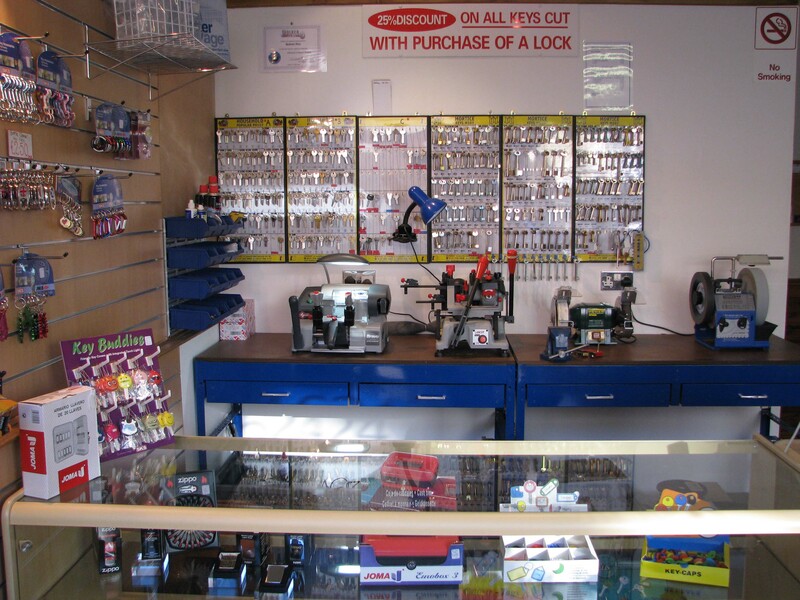 Since we opened in June 2017 at the new premises we have continually expanded our stock and now host a large selection of Kitchenware, Housewares, Tools, Torches, Multi-Tools, Padlocks and more. Whenever a customer asks us for something that we dont stock we will usually either recommend somewhere local that has the item or offer to get the item in, this has resulted in us increasing our product range also as if we believe that item will sell we usually get some in for stock also. We sponsor a number of local charities and endeavours, these can be found here. In celebration of one year at our new premises here is a complete timelapse video of the transformation in June 2016. The shop has more stock in it now than in the video. 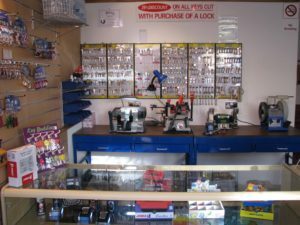 Additionally as a Thank you to our loyal customers we will be running a promotion next week where it will be 3 for 2 on key cutting.